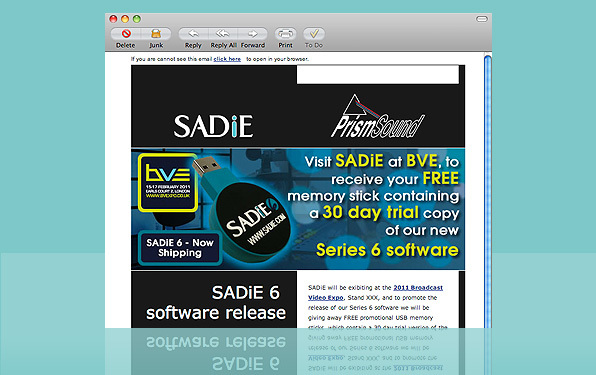 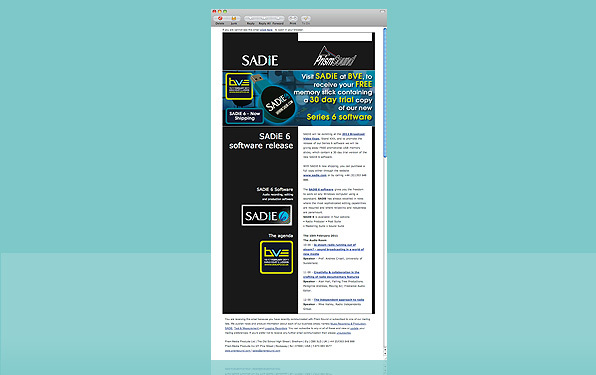 (1) SADiE - HTML newsletter for the new software release from SADiE, a company within the Prism Sound Group. 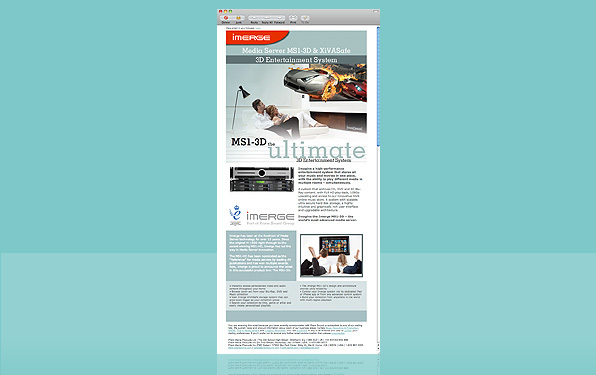 (2) Imerge - Proposed HTML newsletter design for Imerge, a company within the Prism Sound Group. 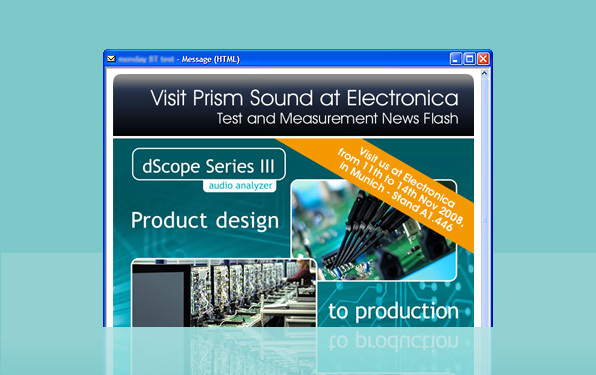 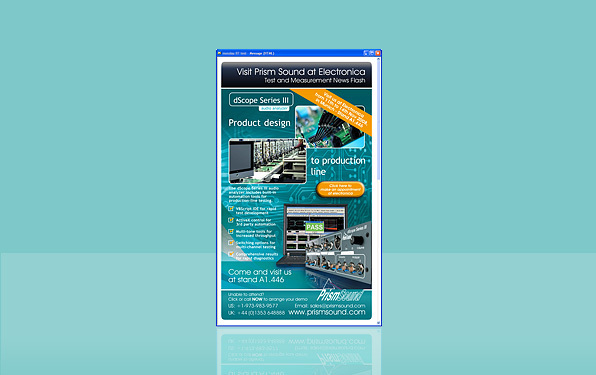 (3) Prism Sound dScope - Test and Measurement division HTML newsletter. 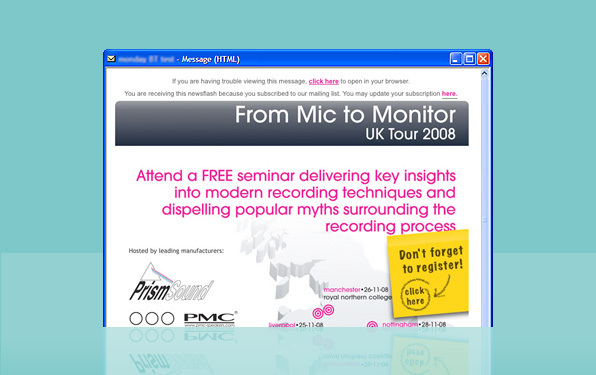 (4) Prism Sound Mic to Monitor Tour 08 - HTML newsletter as part of marketing campaign built around their events tour with Apple. 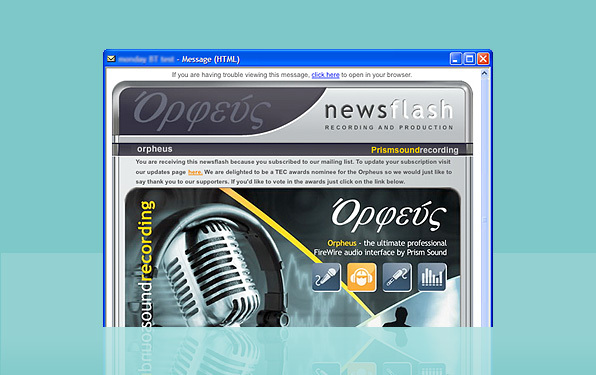 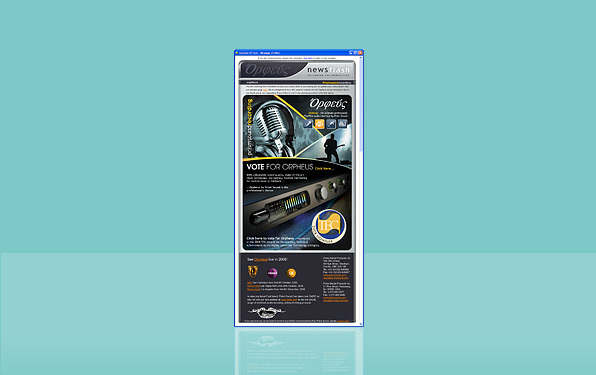 (5) Prism Sound Orpheus - Recording product monthly HTML news flash. 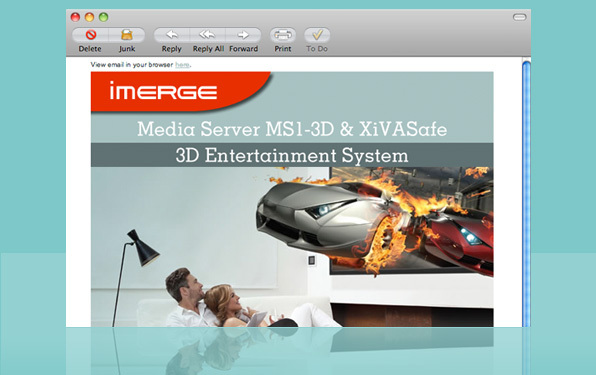 Copyright © M J Webb Associates Ltd. All rights reserved.